In 1980, an organisation of company lawyers in Belgium took the initiative to contact other similar organisations in the Netherlands, England and Wales, Germany, Italy and France. These organisations began exchanging experiences and best practice on legal matters with particular reference to the international business and the European laws affecting the activities of their respective companies. In addition, the company lawyers were realising that the legal status of their profession was not the same in the European countries as in the Netherlands, the UK and Germany, the company lawyers could be admitted to the national Bar, or to other professional associations (such as the Law Society) while in Belgium, France and Italy that was not permitted by law. 1980 saw the beginning of regular meetings between these organisations of company lawyers. 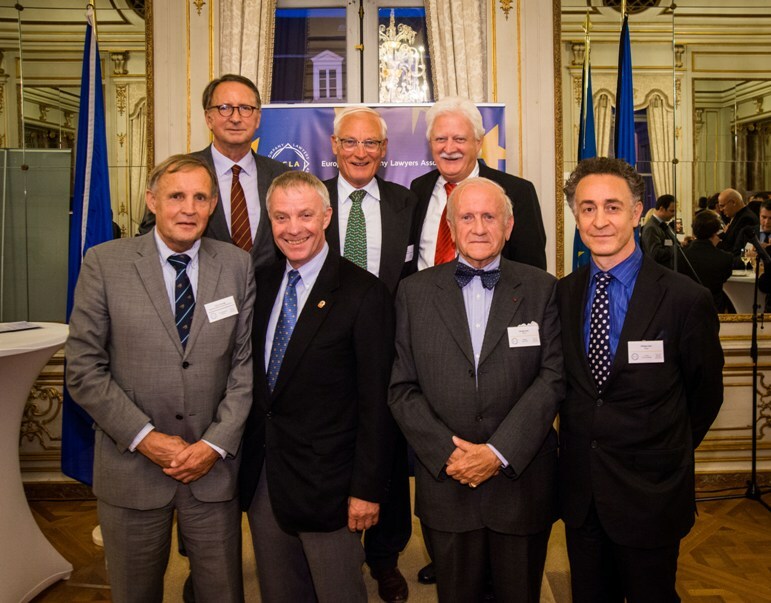 In 1983, ECLA was formed in Belgium as a private non-profit international association following the A.M. & S. case decided in 1982 by the Court of Justice and the appointment of John Boyd as the first Secretary General. The first ECLA President was appointed in September 1984: Prof. Dr. Walter Kolvenbach, who authored the landmark book The Company Legal Department (Kluwer, 1979) who remained in office until October 1987 and who dedicated much of his efforts to designing the route to be followed towards the recognition of the company lawyer profession across Europe. Under the presidency of Barry O’Meara (October 1987 – May 1990) the cooperation among the European organisations of company lawyers became more and more integrated, not only on the scientific level, but also with respect to the ethic principles (exercise of the profession respecting harmonised deontology rules, as well as honesty and fairness). 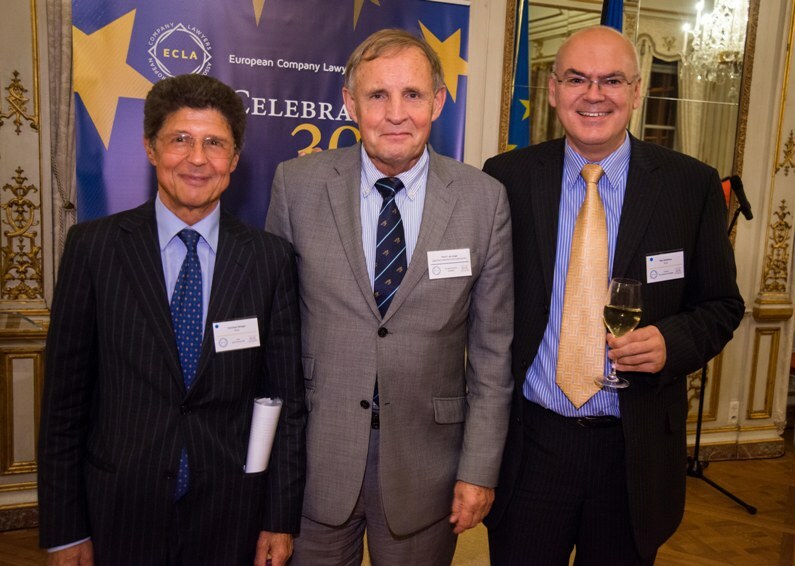 By 1990, ECLA’s membership had grown significantly and included the organisations of company lawyers in Belgium, Denmark, Germany, Finland, France, Italy, the Netherlands, Scotland, England and Wales (the Bar Association for Commerce, Finance & Industry and e Commerce and Industry Group of the Law Society of England and Wales). From May 1990 to May 1992, ECLA’s president was George Carle from Belgium, who was involved in the above mentioned A.M. & S case of 1982. The vice presidents were Marco Allegra, Italy and Daniel Froessel, France. The secretary general was Anne Scheltema Beduin, the Netherlands, who remained in office for eleven years; and the treasurer was Francoise Sweerts, Belgium. The by-laws provided for two governing bodies: the General Assembly constituted by one representative of each member organisation and the board of directors composed by one nominee director of each member organisation. General Assembly meetings were held once a year within six months of the beginning of the year. For the board of directors, they were held twice per year – the rst at the same time of the General Assembly and the second in autumn. The by-laws were amended in 2010 providing for a General Assembly which now meets twice a year, and an Executive Board elected by the General Assembly and composed by the president, one or more vice presidents, a secretary general and a treasurer. e General Assembly also elects an internal auditor. As of 2007, ECLA had personnel, including a general manager, a web master, an accountant and an intern. Until now, General Assembly meetings were hosted, on a rotational basis, by a member organisation in its own country. The Executive Board is vested with all the powers, not reserved to the General Assembly, for conducting the activity of ECLA. The general manager conducts the daily and administrative activity of the association.